Home / Phone / Buy New or Old iPhone? Buy New or Old iPhone? Apple announced on September 12 that the new three models will be brought to the marketplace. Now comes the iPhone Xs, Xs Max and iPhone XR. This year's three models are similar to the iPhone X in the market last year. So, those who are planning to purchase the iPhone can choose the model of last year instead of the new iPhone. On the one hand, the price of the iPhone X is lower than the new iPhone, and it is almost the same as the feature. However, new iPhones have dual SIM support, there are some advantages such as 12 bionic processors. Those who are thinking of buying a new iPhone, they must consider the price. In the market of Bangladesh, the price of 64 GB iPhone X is Tk 1.55 lakh. The new model iPhone X or XS Max has not yet arrived in Bangladesh market. In the US market, the price of the new iPhone has started from 999 and 1099 US dollars. Bangladesh's price will be higher than the price of the iPhone X. So for those who are thinking of buying iPhone, the model of the iPhone X will be good. The iPhone X's design difference with iPhone X is slightly smaller. On the other hand, the iPhone X Max version can be called a bigger iPhone X. IPhone X is designed to be the iPhone X design. A camera was placed behind it. The price of the XR model in the iPhone is low. But compared to iPhone X, XS and XS Max, it seems to be less value. 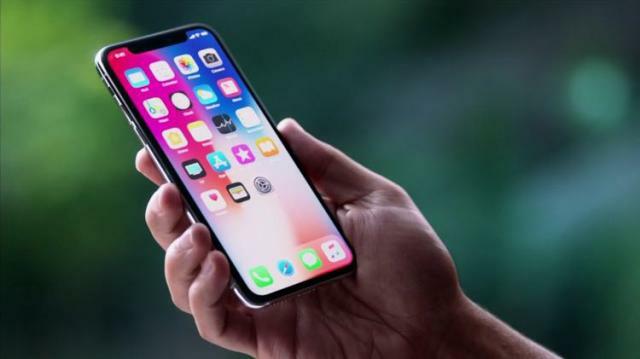 Apple has lowered the quality of the new iPhone buyers, but it has reduced its standard with LCD display and a rear camera. There are no reasons for the iPhone XR to update the iPhone. They will either go to Xs or Xs Max, otherwise they will like the iPhone X. The display on the iPhone X, the XS and XS Max have the same display. In the case of OLED display, Apple has not done anything new without maximizing the size of the X Max. In addition to the back camera there is no difference with the iPhone X. The front cameras are the same. IPhone X will get 3.5mm lightning connector Dongle free, which Apple XS Max is not given on iPhone X. It will buy you separately for the new iPhone. In the case of user experience or user experience, the difference between new iPhone with iPhone X is less. Because, if you update the new software on iPhone X, then it will give the user experience similar to the new iPhone.